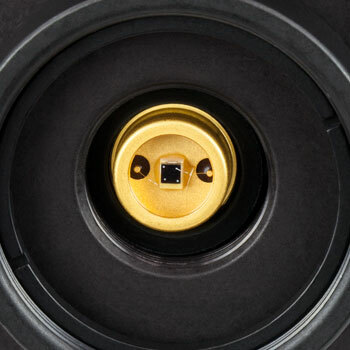 Switchable with 8 x 10 dB steps. Switchable with 2 steps, 0 and 20 dB. We offer a selection of Silicon (Si) Free-Space Amplified Photodetectors that are sensitive to light in the UV to the NIR wavelength range. 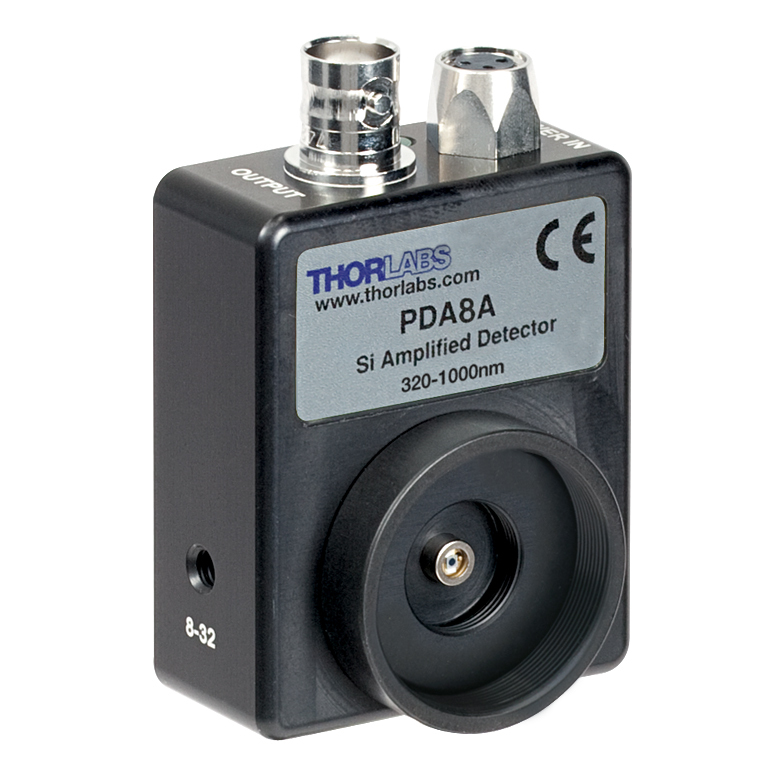 Thorlabs' amplified photodetectors feature a built-in low-noise transimpedance amplifier (TIA) or a low-noise TIA followed by a voltage amplifier. Menlo Systems' FPD series amplified photodetectors have a built-in radio frequency (RF) or transimpedance amplifier. We offer fixed-gain versions that possess a fixed maximum bandwidth and total transimpedance gain, as well as switchable-gain versions with two or eight gain settings. Thorlabs' photodetectors are designed to meet a range of requirements, with offerings that include the 380 MHz PDA015A with an impulse response of 1 ns, the high-sensitivity PDF10A with a noise equivalent power (NEP) of 1.4 fW/Hz1/2, and the switchable-gain PDA100A2 with eight switchable maximum gain (bandwidth) combinations from 1.51 kV/A (11 MHz) to 4.75 MV/A (3 kHz). 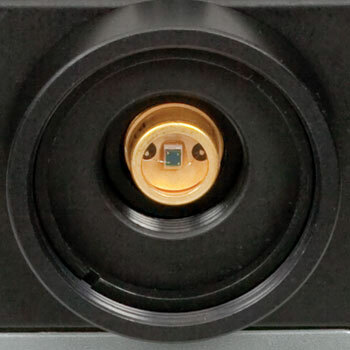 The PDF10A with femtowatt sensitivity is a low-frequency device that should only be terminated into high impedance (Hi-Z) loads, while all other of our silicon amplified photodetectors are capable of driving loads from 50 Ω to Hi-Z. The PDA10A2 with the Included ±12 V Power Supply. Replacement power supplies are sold below. 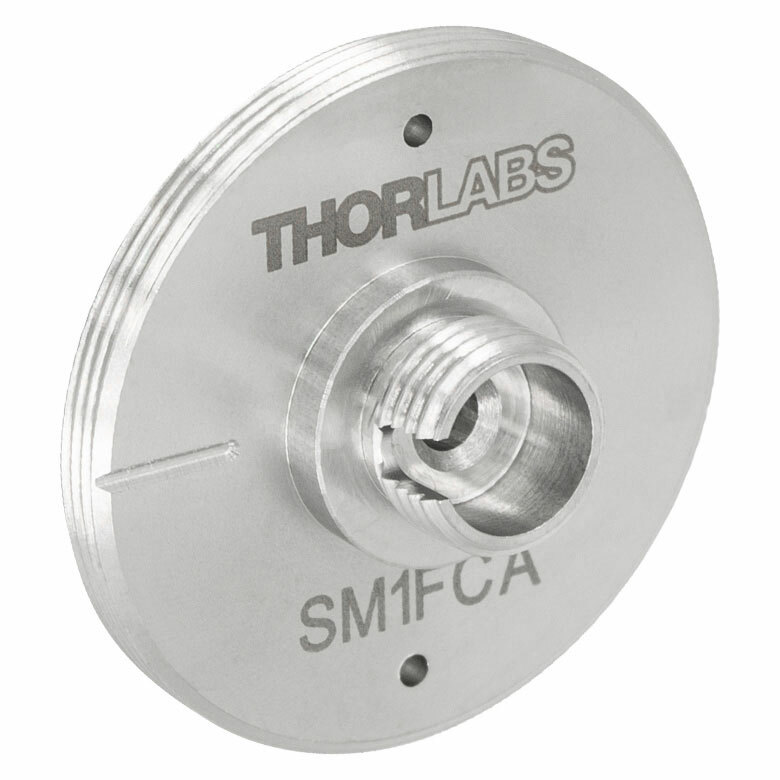 Every detector has internal SM05 (0.535"-40) threading and external SM1 (1.035"-40) threading. Except for some select detectors, each unit's housing features 8-32 tapped holes (M4 for -EC and /M models). The PDA10A2, PDA36A2, and PDA100A2 feature a new housing with universal taps that accept both 8-32 and M4. 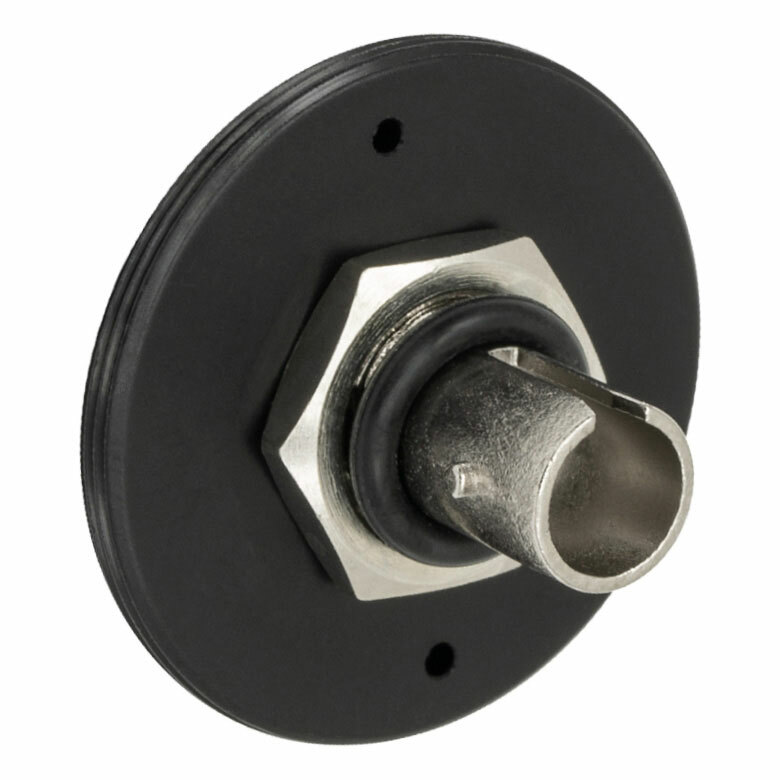 For more information about the location of these mounting points and mounting these units, please see the Housing Features and Mounting Options tabs. 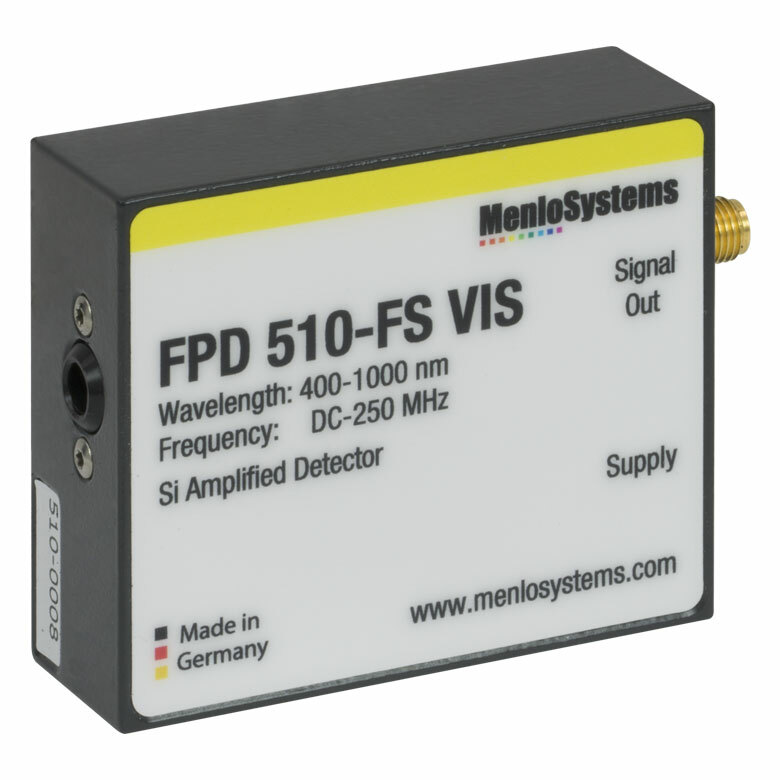 Menlo Systems' FPD series detectors are easy-to-use photodiode packages with an integrated high-gain, low-noise RF (FPD310-FS-VIS) or transimpedance (FPD510-FS-VIS and FPD610-FS-VIS) amplifier. 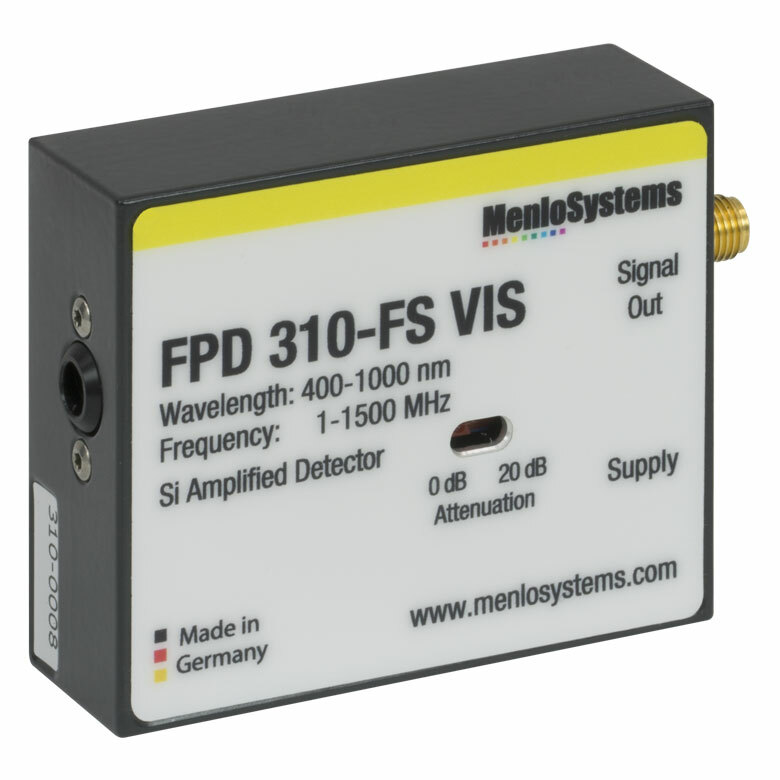 The FPD310-FS-VIS is ideal for experiments requiring high bandwidths and extremely short rise times (<1 ns). 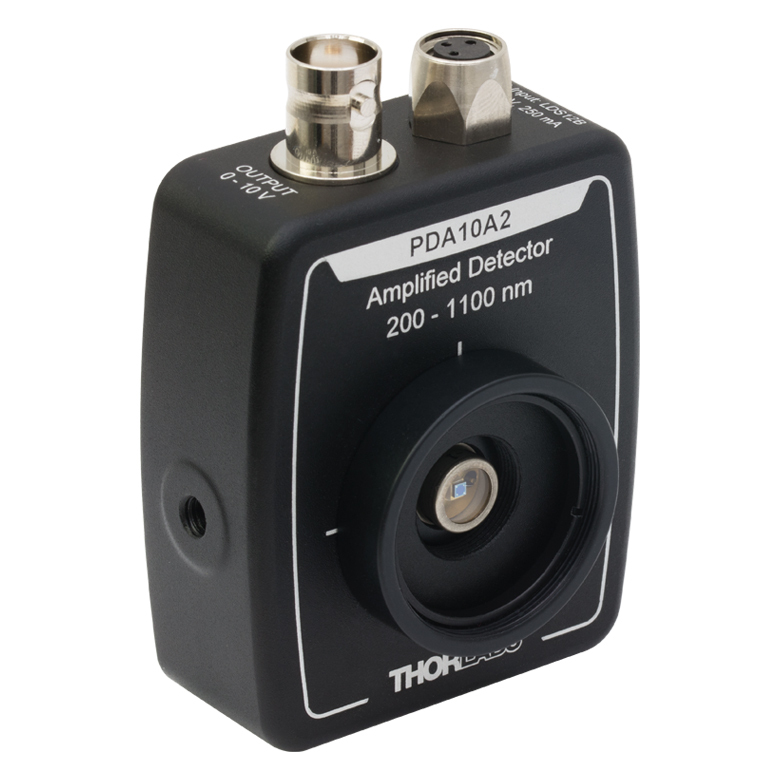 This detector has a switchable gain with two steps, 0 and 20 dB. 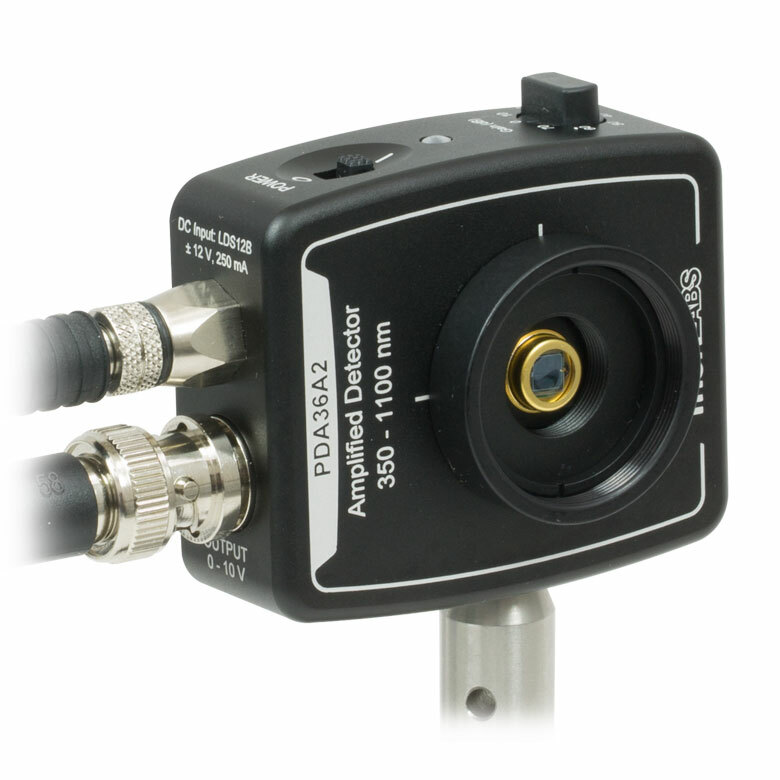 The FPD510-FS-VIS and FPD610-FS-VIS have a fixed gain and are optimized for the highest signal-to-noise ratio when detecting low-level optical beat signals at frequencies up to 250 MHz and 600 MHz, respectively. The FPD510-FS-VIS has a rise time of 2 ns, while the FPD610-FS-VIS has a 1 ns rise time. The 3 dB bandwidth of these DC-coupled devices is 200 MHz for the FPD510-FS-VIS and 500 MHz for the FPD610-FS-VIS. 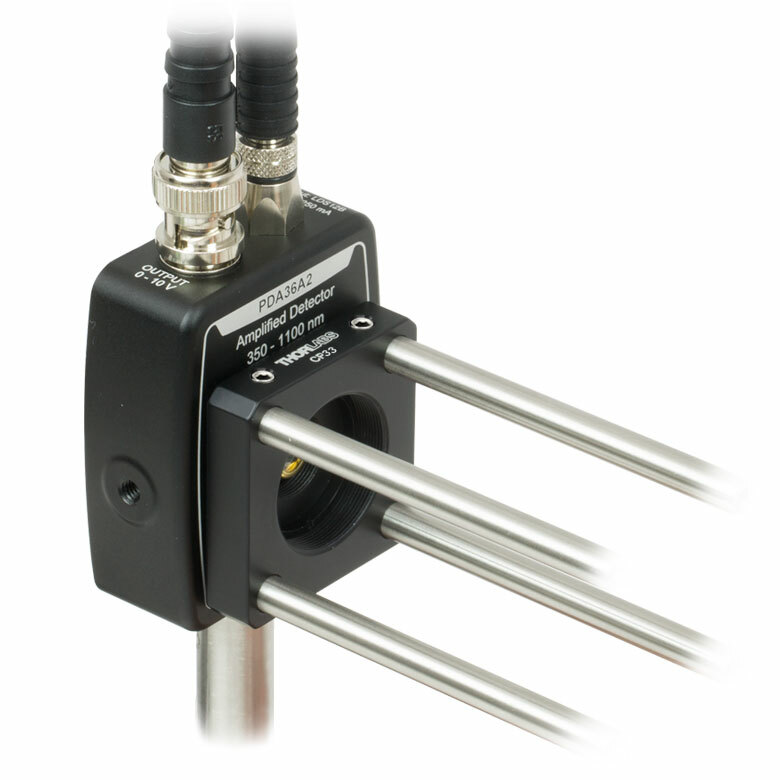 The compact design of the FPD detectors allows for easy OEM integration. 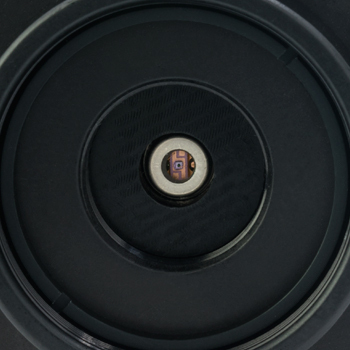 The housing of each Menlo detector features one M4 tapped hole for post mounting. For more information about the housing, please see the Housing Features tab. 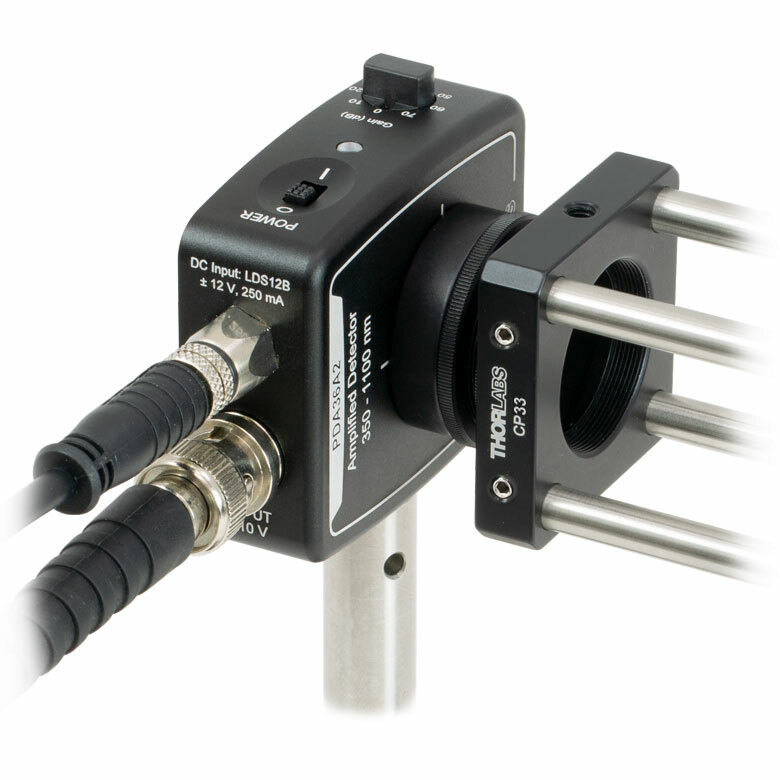 For versions of these detectors with FC/PC inputs, see Si Fiber-Coupled Amplified Detectors. 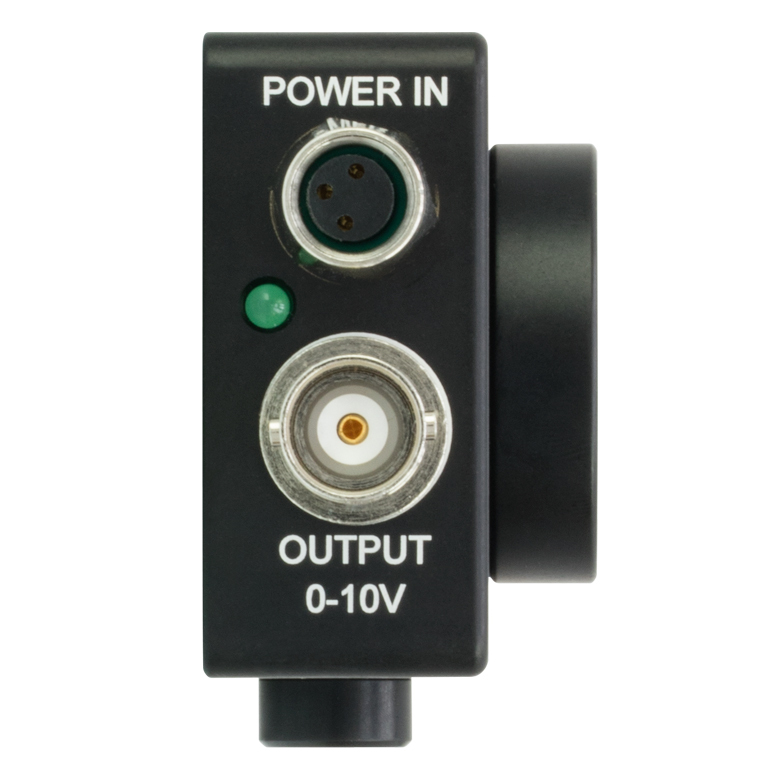 A ±12 V linear power supply that supports input voltages of 100, 120, and 230 VAC is included with each amplified photodetector. 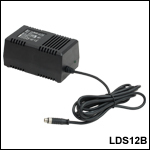 Replacement power supplies are available separately below. Before connecting the power supply to the mains, ensure that the line voltage switch on the power supply module is set to the proper voltage range. The power supplies should always be powered up using the power switch on the power supply itself. Hot plugging the unit is not recommended. 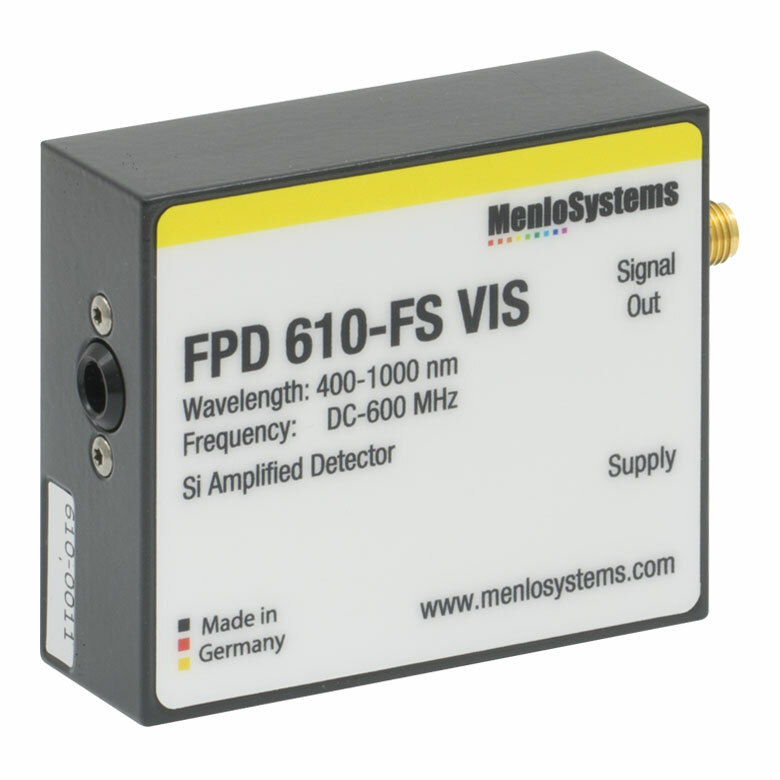 Menlo's FPD510-FS-VIS, FPD610-FS-VIS, and FPD310-FS-VIS include a low-noise power supply. NEP is specified at the peak responsivity wavelength. As NEP changes with the gain setting for the switchable-gain versions, an NEP range is given for these. This detector has a 50 Ω terminator resistor that is in series with the amplifier output. This forms a voltage divider with any load impedance (e.g. 50 Ω load divides signal in half). When long-term UV light is applied, the product specifications may degrade. For example, the product’s UV response may decrease and the dark current may increase. The degree to which the specifications may degrade is based upon factors such as the irradiation level, intensity, and usage time. This is the maximum possible bandwidth for these amplified photodetectors. Bandwidth varies as a function of gain. For more information see the Switchable Gain table below. Rise times depend on the chosen gain level and wavelength. As one increases the gain of a given optical amplifier, the bandwidth is reduced, and hence, the rise time increases. Please refer to the photodiode tutorial for information on calculating the rise time. Bandwidth specifications for each switchable photodetector may be found in the table below. Due to its 25 Hz cutoff frequency, operating the PDF10A(/M) with less than high impedance loading is not recommended. Gain figures can also be expressed in units of Ω. The Noise Equivalent Power is specified at the peak wavelength. The Dark State Noise Level is -100 dBm (up to 5 MHz). The Dark State Noise Level is -130 dBm (5 to 1500 MHz). Top of the housing on our PDA and PDF detector housings. The Power In connector, Output BNC connector, and power indicator LED are located at the top of the housing. The PDA015A detector is shown. 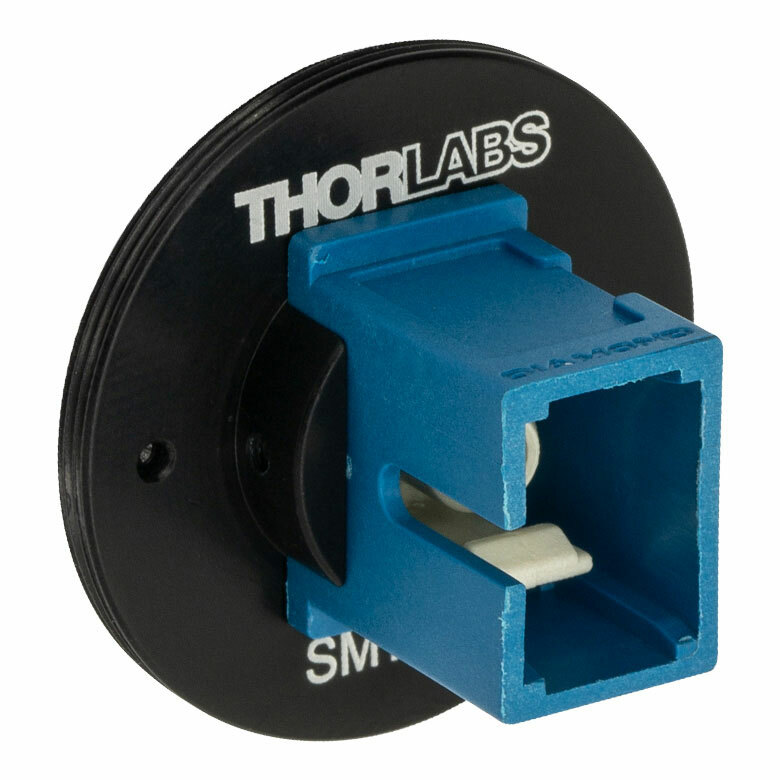 The housings of Thorlabs' detectors feature internal SM05 and external SM1 threads. 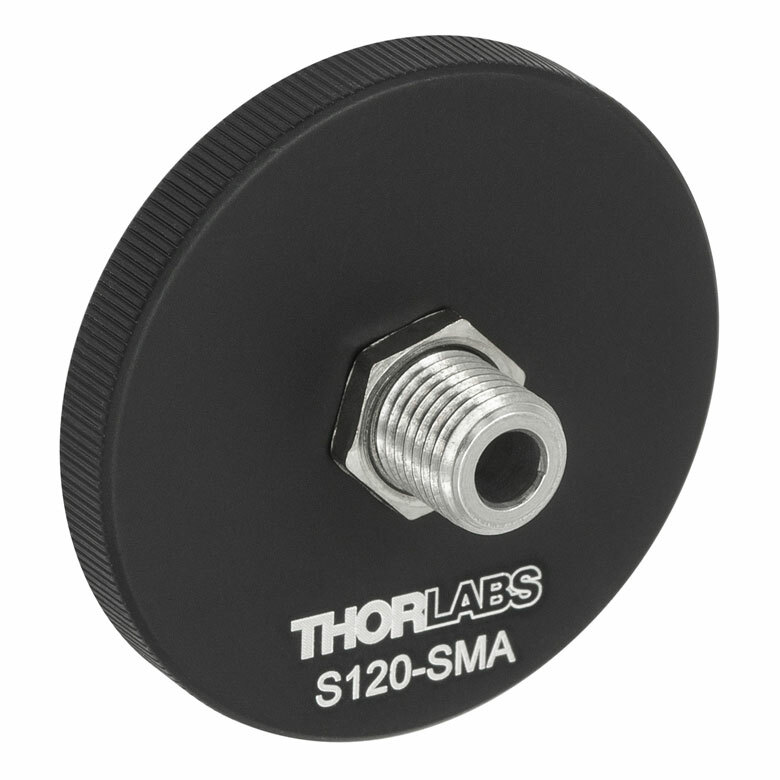 An SM1T1 SM1 Adapter with internal threads is included with each amplified photodetector, and an SM1RR Retaining Ring is included with the PDA015A, PDA10A2, PDA36A2, and PDA100A2. 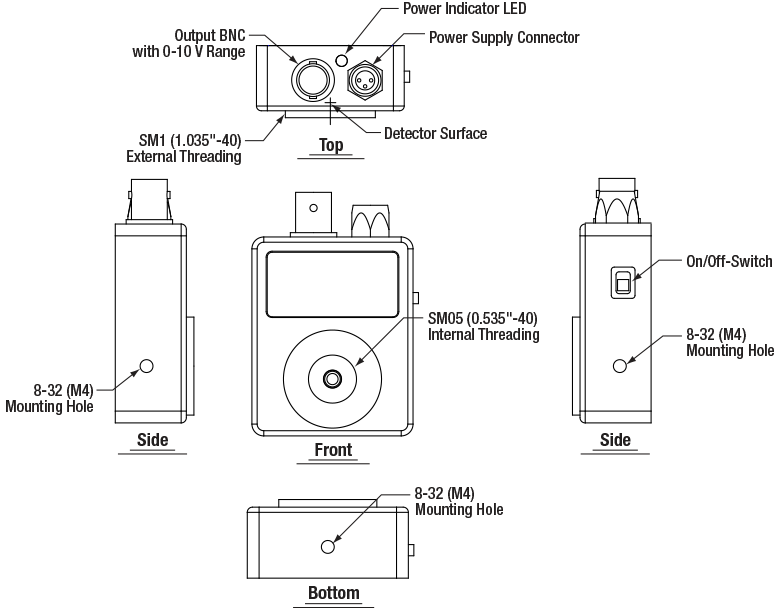 Please refer to the table below for detailed drawings of each detector. 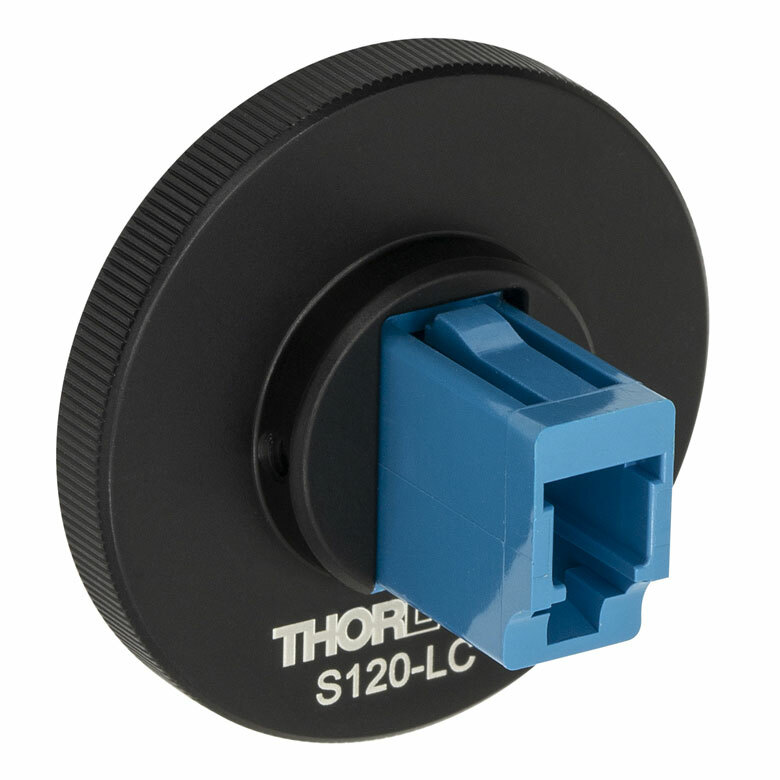 Thorlabs' Amplified Photodiode series feature a slim design with many common elements. 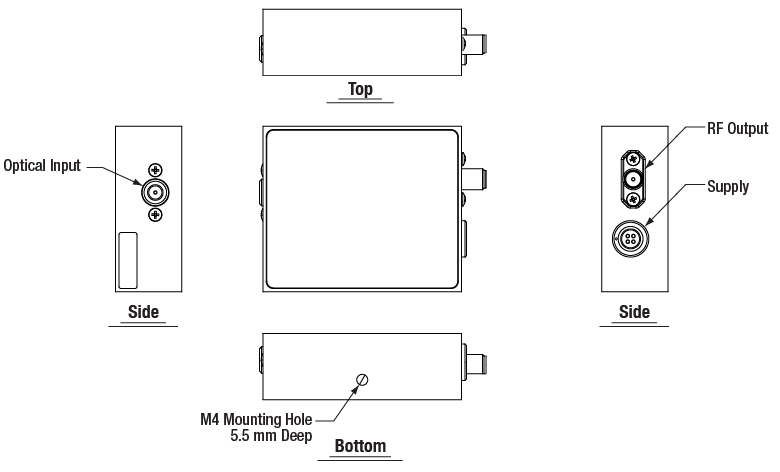 Each housing features internal SM05 (0.535"-40) threading and external SM1 (1.035"-40) threading, and includes a detachable SM1T1 internally SM1-threaded adapter, as shown to the right. 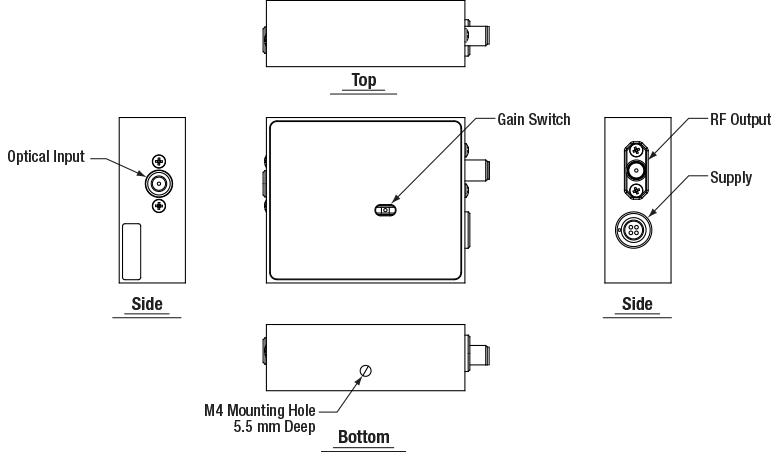 The SM1T1 can hold up to 0.1" (2.8 mm) thick optics. An SM1RR retaining ring is included with every detector, except the PDF10A(/M) and PDA8A(/M). 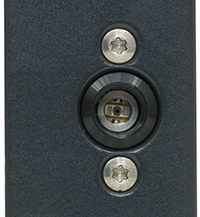 Each detector can be mounted using a 1/2" Post, as shown in the images below. 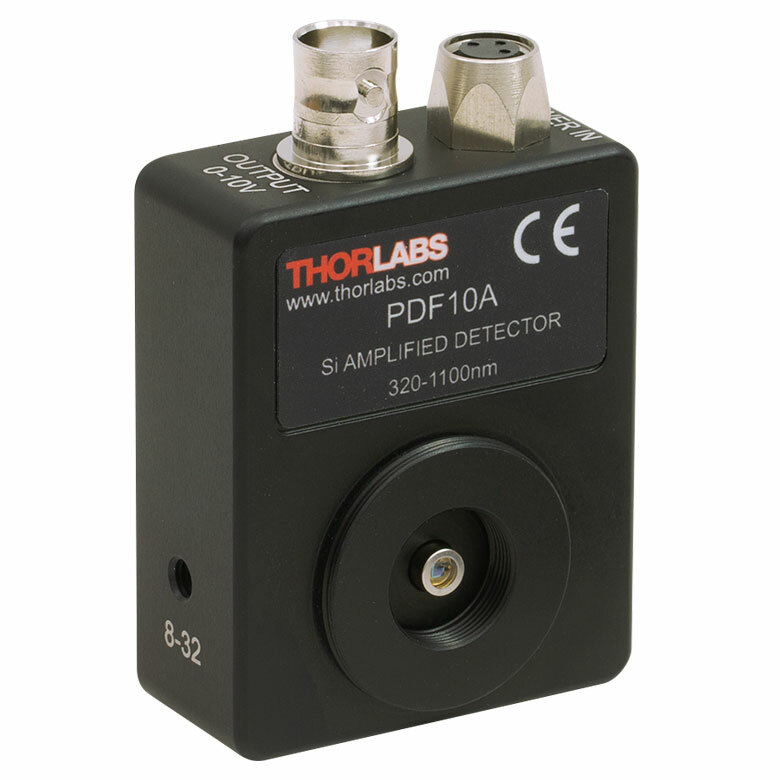 The PDF10A(/M) includes the TRE(TRE/M) electrically isolated Ø1/2" post adapter. Detectors with universal taps (refer to the table below) have a new housing design that features the active area flush with the front of the housing, simplifying alignments within optomechanical systems. As a convenience, the back panels of these detectors are engraved with the responsivity curve of the photodiodes. These detectors can be integrated into various optomechanical systems using the internal SM05 and external SM1 threads. 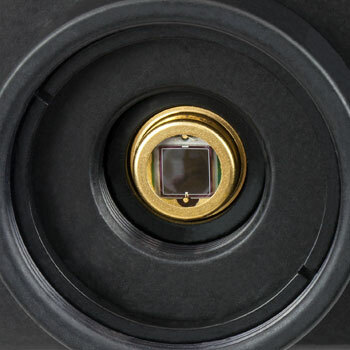 A lens tube can be directly attached to the SM1 threads, making the detectors compatible with lens tube systems. 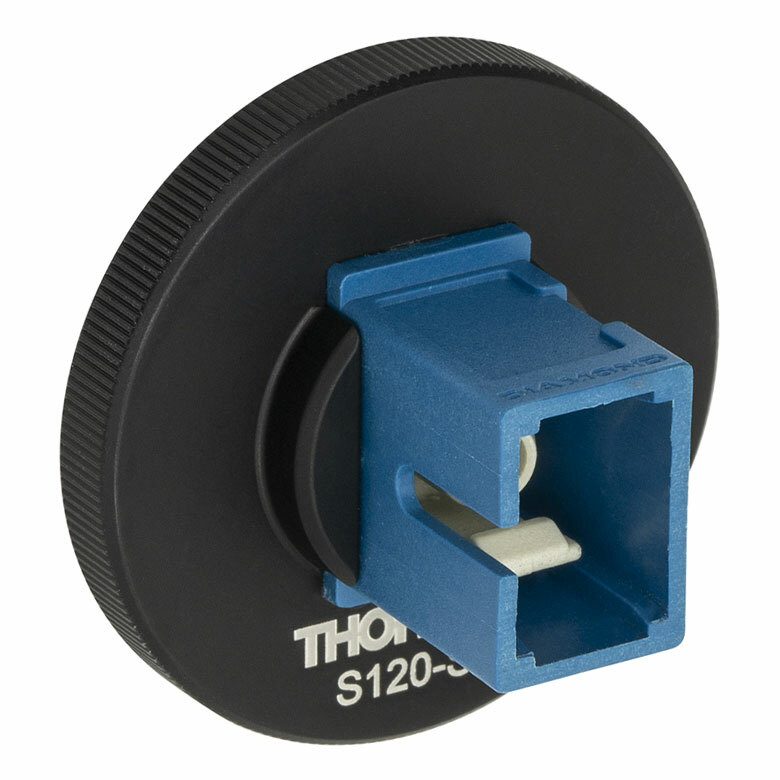 The SM1T1 adapter can be used to mount Ø1" (Ø25.4 mm) optical components, such as optical filters and lenses. The detectors are also cage system compatible, as shown in the two images below right. A CP02 cage plate can be attached directly to the SM1 threads. This attachment method does not require an adapter piece and allows the diode to be as close as possible to the cage plate, which can be important in setups where the light is divergent. 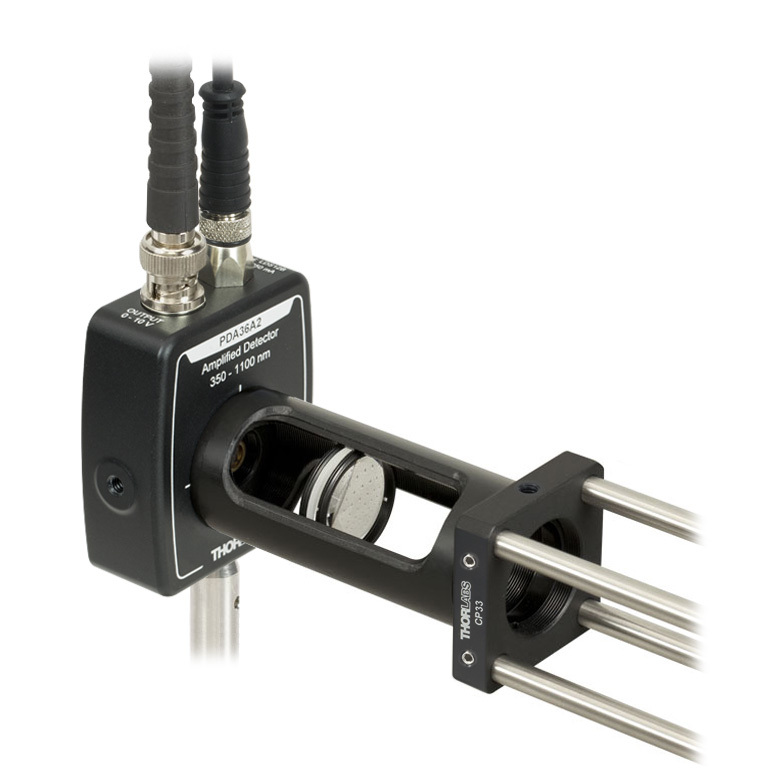 Another method for integrating a detector into a cage system is using the included SM1T1 with an SM1T2 adapter. This allows more freedom in choosing the orientation of the detector. 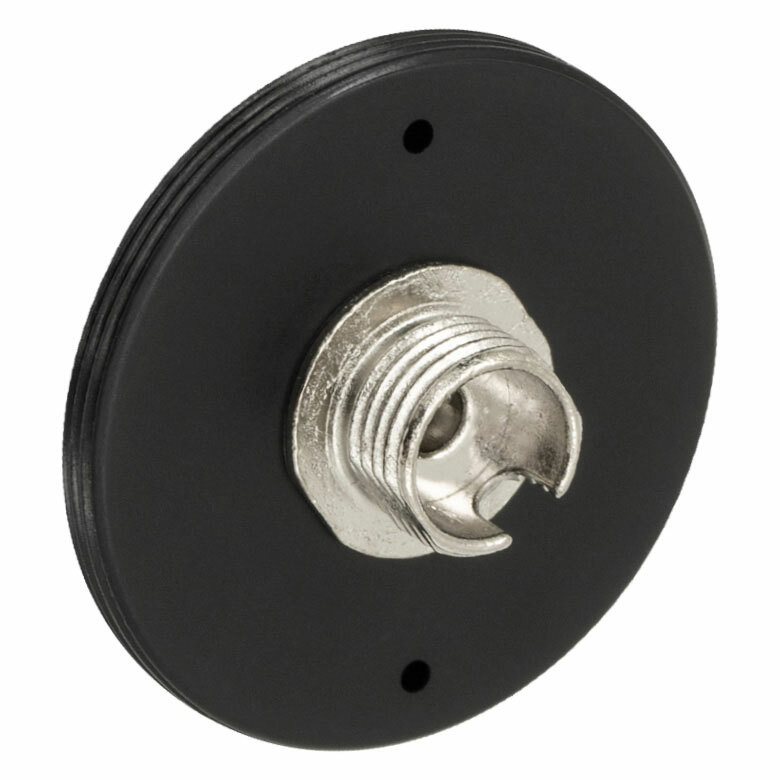 Additionally, these detectors can be used with SM1-threaded fiber adapters (sold below). Threaded holes on the housings of the detectors allow the units to be mounted in a horizontal or vertical orientation using a 1/2" Post. This gives the user the option to route the power and BNC cables from above or alongside the beam path, as shown below left. 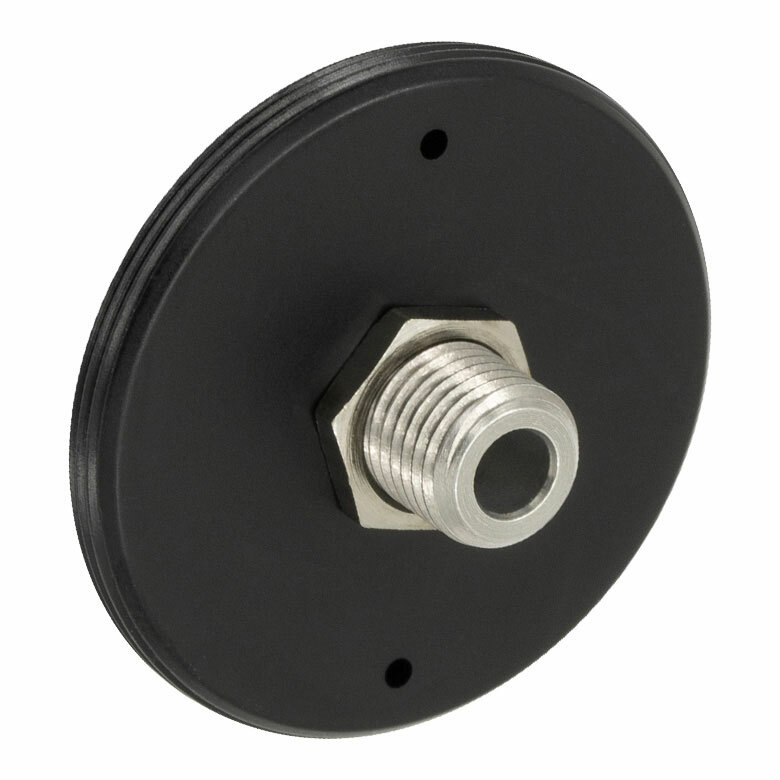 We offer detectors that have metric and imperial versions, as well as detectors that have universal mounting holes that accept 8-32 and M4 threads. Please see the table below for the specific mounting taps of each detector. The housing of each of Menlo Systems' FPD detectors feature one M4 tapped hole on the bottom for post mounting. The power supply connector and output SMA connector are located on the side of the housing. External SM1 (1.035"-40) 1.96" x 0.89" x 2.79"
(M4 for Metric Version) 1.89" x 0.83" x 2.76"
(M4 for Metric Version) 1.70" x 0.83" x 2.57"
FPD610-FS-VIS One M4 Tap N/A 2.36" x 0.79" x 1.97"
External SM1 (1.035"-40) 2.07" x 0.89" x 2.79"
FPD310-FS-VIS One M4 Tap N/A 2.36" x 0.79" x 1.97"
For connection to a suitable monitoring device, e.g. oscilloscope or RF-spectrum-analyzer, with 50 Ω impedance. 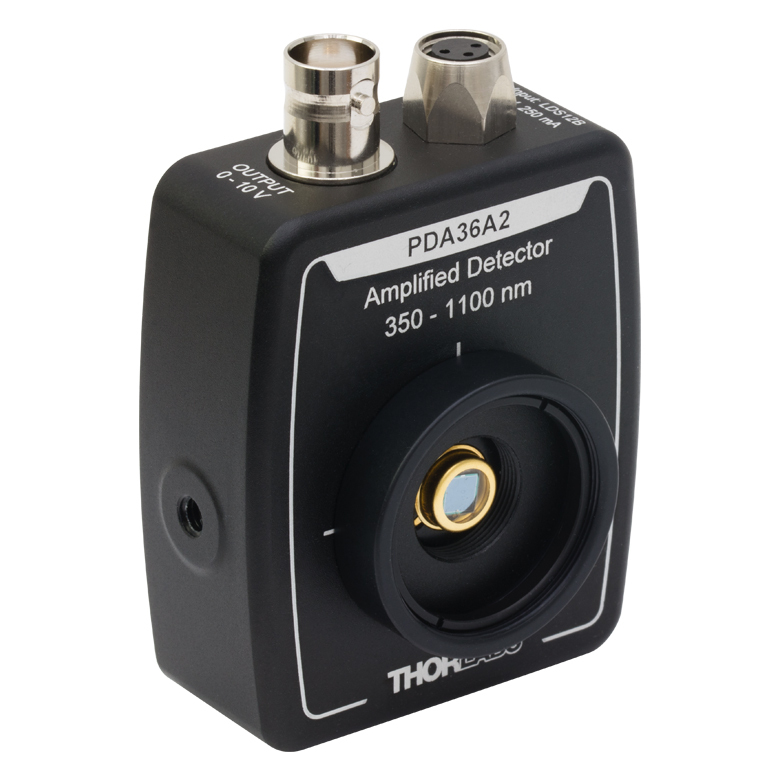 The following table lists Thorlab's selection of previous and current generation PDA and DET detectors. 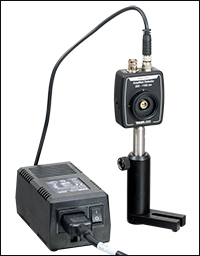 The DET100A(/M) wavelength range is 350 - 1100 nm. The PDA100A(-EC) wavelength range is 340 - 1100 nm. The DET05D(/M), PDA10D(-EC), and DET10D(/M) wavelength range is 800 - 2600 nm. Dear Thorlabs staff, I need the responsivity data of the PDF10A outside the limits already reported in the website (i.e. above 1100nm and below 320 nm). Are you able to provide them? If not, even a guess based on data of other Si-based detectors would be helpful. This is a response from Sebastian at Thorlabs. Thank you for the inquiry. For PDF10A we have no data about sensitivity outside 320 - 1100 nm. Below 320 nm absorption of protection window gets significant and above 1100 nm absorption coefficient of active area decrease. I contacted you directly for further discussion. I am a little confused by the "Hi-Z" references for higher (0-10 V) output on the PDA10A2. Just how high-Z is "hi-z"? I understand the 50-ohm resistor gives a 0-5V output, but what resistance is needed for 0-10V? Does the device internally compensate for higher impedences, or is there something in a voltage divider I'm missing? Hello, there is no discrete point of transition between 5V max output and 10V max output. This is entirely dependent on the scale factor due to the voltage divider mentioned in the manual. For example, if the load impedance used is 150 Ohms, the scale factor then becomes 150/(150 + 50) = 0.75, which means that the voltage output range will be 0 to 7.5V. The device does not internally compensate for impedance levels. Dear sir, I'm using a PDA36A2 photodetector to measure a beam with power around 0.4mW. When I set to 0dB gain, the output voltage is exactly P*R(780nm)*Gain=140mV. Considering there is stub-style 50 ohm terminator connected, why I didn't see any voltage distribution (this scaling factor from manual) of output? Hello, thank you for contacting Thorlabs. The gain factor of 0.75 kV/A you used in the calculation already accounts for the 0.5 voltage distribution factor. We are working on making this information more clear in the manual. Hi Ben, thank you for contacting Thorlabs. The .step and .sldprt files work for us using Solidworks Premium 2016 and eDrawings. I will reach out to you directly with a .igs file. Thank you for contacting Thorlabs. The transimpedance amplifiers of these detectors will saturate before being damaged and at the lowest gain setting when using a 50 ohm terminating resistor the amplifier of the PDA100-EC will saturate at around 21.3mW. Since you have a 300mW source I suggest using a neutral density filter that has an optical density of at least OD 1.2 or higher, something like NE513B-A can be suitable. I'll reach out to you directly to discuss the damage thresholds of our ND filters. Hello thorlabs. I want to supply PDA100A from two Pb batteries. Could you provide me with partnumber of cable plug to fit PDA power input? Hello, thank you for contacting Thorlabs. 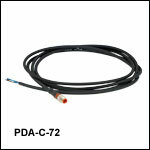 If you want to wire your own power supply, you can use PDA-C-72 which is lower down on this page. Hello, I am interested in buying either the PDA015A or PDA10A. My application is for optical wireless communications, thus I would like to have the flexibility of mounting different focusing lenses onto the front of the detector. Which products can you recommend for this purpose? Hello, thank you for contacting Thorlabs. I will reach out to you directly to discuss your application, but likely a plano-convex lens just to collect light and focus it onto the detector would improve signal strength. In the safety guide, it is mentioned about the scale factor. And, after calculating maximum incident light intensity from that formula we got 22 mW for PDA100A-EC. But, without scale-factor it is coming 10.7 mW. Kindly give your valuable reply regarding which answer is correct. Hello, thank you for contacting Thorlabs. There is not a maximum incident power spec for several reasons. One is that the responsivity is dependent on wavelength, so the power would change. Another is that saturation of the detector occurs before damage. I will reach out to you with more details on estimating these values given the Max Output Current (100mA) and the other details of your setup. Does the PDF10A has any coatings on the sensor area, such as an anti-reflective layer ? This is a response from Wolfgang at Thorlabs. Thank you very much for your inquiry. The photodiode in the PDF10A has a protective window made of borosilicate glass, but no anti-reflective coating. I will contact you directly to provide further assistance. Hi, can the voltage regulators on the PDA36A work with +/-15 V? We have a +/-15 V distribution system and I would like to get rid of the bulky AC/DC converters provided with the units we have. Thank you for contacting Thorlabs. The input voltage of the PDA36A must be kept at ±12V. Driving at 15V can damage the output drive when operating 50 ohm load. A Techsupport representative will contact you directly. Hello Jona, thank you for contacting Thorlabs. I will reach out to you directly to troubleshoot your PDA10A. Your tutorial indicates that these Si photodetectors are highly linear. Can you quantify the linearity and dynamic range? i.e. how linear and over what range? This is a response from Sebastian at Thorlabs. Thank you very much for your inquiry. The maximum output voltage swing of PDF10A is +10V. 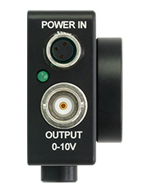 Saturation of the output will occur at optical input power greater than CW Saturation Power (16pW for PDF10A). Saturation of the Photodiode will cause nonlinear behavior. 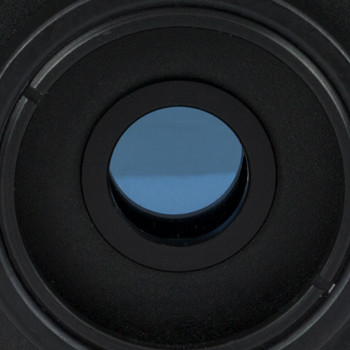 ND filters can be used to reduce the optical power and extend the operation range. The minimal detectable power, calculated from NEP at 960nm and SNR=1 , is 6fW. I have contacted you directly to provide further assistance. Hello, I'm using the PDA36A-EC to detect light pulses from 1 to 10 µs. I observe a charging time of 1.8 µs for the photodetector response signal and I was wondering if it was a normal value. If not can it come from the photodetector? Thank you. 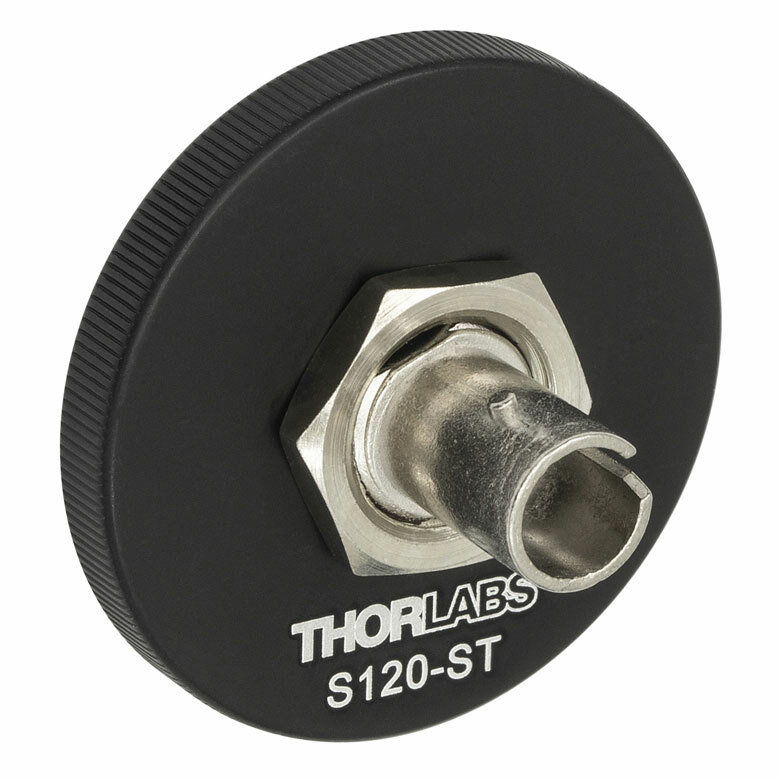 Response from Jeremy at Thorlabs: The rise time is going to be dependent on the gain setting that you choose. Also, if the detector is saturated, the rise time will be longer than usual as well. We will contact you directly to troubleshoot this. Hello,I have a PDA36A Si detector which does not work now. I wonder how to repair it? Should I just send it back to Thorlabs? I think it is under warranty but not very sure. Response from Bweh at Thorlabs USA: I have contacted you directly. What is the maximum amount of optical power that the PDA36A and PDA100A can withstand before the damage occurs (not saturation). Response from Bweh at Thorlabs USA: You should keep the power below 100mW to prevent damage. For typical use, under 1mW is recommended to keep the detector in the linear regime as these are amplified detectors. I want to use PDA10A for detection of rapid fluorescence signals (60MHz)from organic dyes in cell membranes. this PDA10A can go to work? Response from Jeremy at Thorlabs: We will have to get more information about your application before being able to recommend a specific detector. I will contact you directly about this. Hello, I want to ask about the output of the PDA10A detector. What is the compatible power meter? Please contact me via email. Thank you. 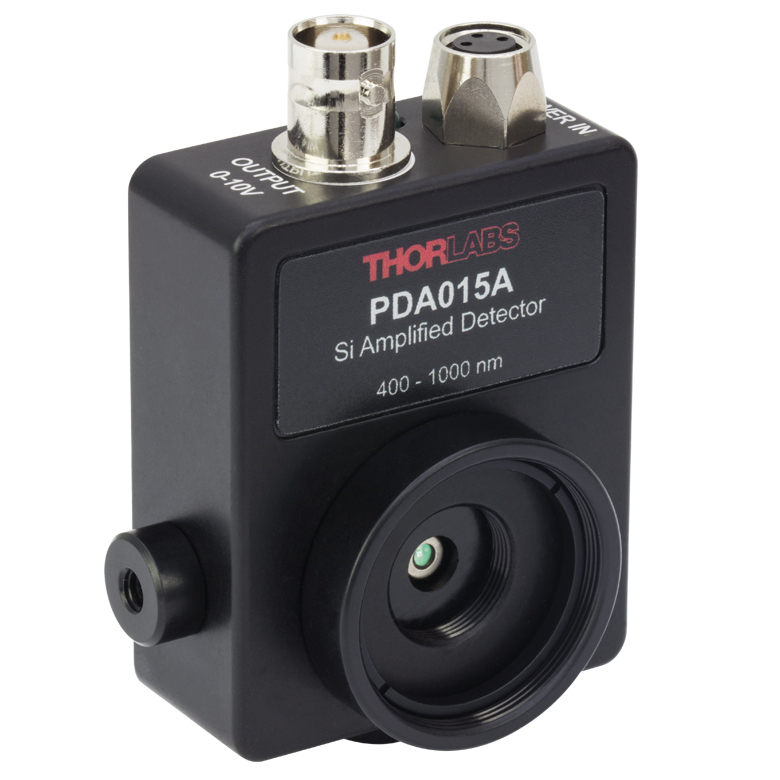 Response from Jeremy at Thorlabs: The PDA10A outputs a voltage signal but the detector's response is not NIST calibrated. 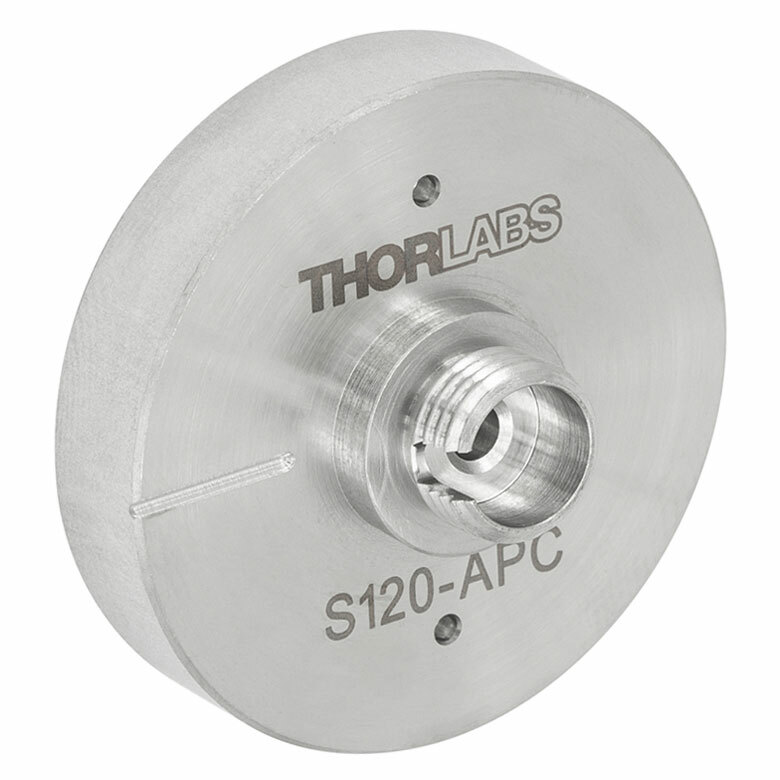 We do offer power meter system which can be found at http://www.thorlabs.com/navigation.cfm?guide_id=37. I will contact you directly about our power meter system. Is there any certification that the responsivity is linear across intensity range? i.e. is dV/dP the same for output in the 0-1V range as the 9-10? Response from Jeremy at Thorlabs: The response of the detector is linear for output below the maximum voltage (10V with Hi-Z load). This is a response from Stefan at Thorlabs. Thank you very much for your inquiry. I am sorry that you face problems with the PDA8A. I will contact you directly to troubleshoot this problem. Dear Sirs, We would want to use one of your Amplified Photodetectors for detecting radiation of N2-laser. Beam characteristics: LengthxWidth-20x10mm, Pulse intensity-0,5 mJ, pulse duration-100ns. What Amp. Photodetector is best for our application? As I understand we'd need additional focusing and filtering components for this system... What can You advise? Response from Jeremy at Thorlabs: There are a few details missing from your setup description. We will contact you directly to discuss about this. 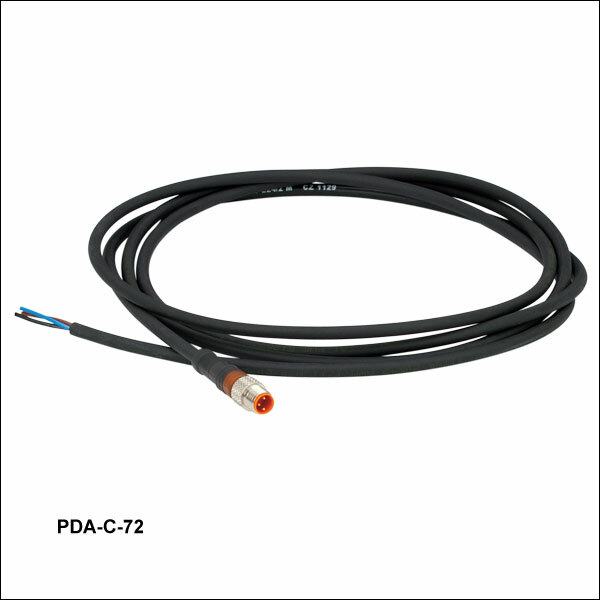 The datasheet for the PDA8A/M specifies the output voltage for terminations of Hi-Z and 50 Ohm. I have an application where I'd like to connect the detector to a Mini-circuits mixer (tuf-3lh) which has an input impedance given by a coil connected to ground such that at DC the impedance is 0 Ohm. This will of course force the signal to 0 at DC. Will this damage the PDA8A/M detector by drawing to much current. What is the output impedance of the PDA8A/M and how is it connected, in series or in parallel? Regards, Hans Harhoff Andersen. A response from Julien at Thorlabs: Thank you for your inquiry! The connection to the coil will not damage the detector. This being said, one could of course use a coupling capacitance before the balun to achieve separation from the DC path. The output impedance is 47Ohms series. I'm having a hard time reproducing the numbers in the manual of the PDA36A for the NEP. I would have assumed that NEP = Noise_rms / Sqrt(BW) / Gain / Responsivity, but when I put in these numbers I get a NEP more than an order magnitude higher. Am I doing something incorrectly? Response from Jeremy at Thorlabs: You are correct that NEP = Vrms/(Gain*Responsivity*vbandwidth). The bandwidth used in the calculation is the bandwidth of the measuring system and not the bandwidth of the detector. There is a response curve in the Manual of PDA10A，but I can't find the detail spectrum response data, the responsivity of each wavelength. Would you please give me this? Response from Sean at Thorlabs: Thank you for your feedback. I emailed you the data file directly, and we are in the process of adding the data for all of our Amplified Detectors directly to the website. I am planing on using this PDA for detection of rapid (msec) fluorescence signals from organic dyes in cell membranes but I am not sure that about the sensitivity. Do you have any experience with this type of measurement (voltage clamp fluorometry) or can recommend references? Response from Jeremy at Thorlabs: I will get in contact with you directly do discuss about the details in your experiments. I have a question about PDA36A. I plan to do photoluminescence experiment with it under low temperature (>77K). Does PDA36A work at that range? Do you have a responsitivity curve for that? Response from Jeremy at Thorlabs: The operating temperature for the PDA36A is 0-40°C. Why the maximum incident light intensity is not indicated clearly, please? 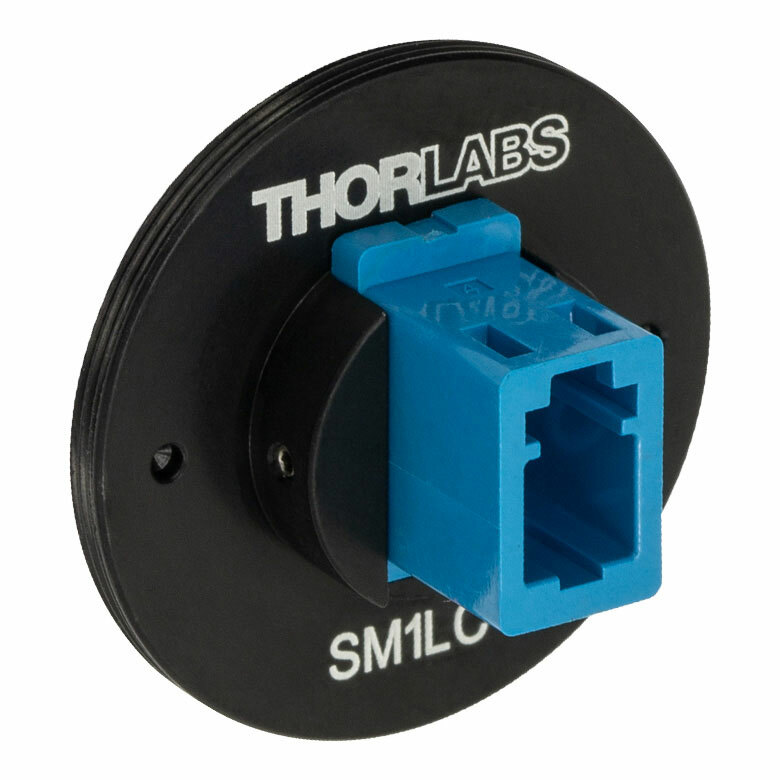 Response from Chris at Thorlabs: Thank you for using our web feedback. The saturation point can be found by dividing the max voltage output for it's corresponding gain and responsivity. So for example with a 50Ohm resistance, the PDA8A can ouput up to 5V, dividing by 50kV/A and 0.5A/W (at peak responsivity), we end up with 64.3mW on the lowest gain setting. The same can be done for the other detectors as well. Each on the lowest settings, the PDA10A would be 2.22mW. The PDFF10A would be 2nW, the PDA36A and PDA100A would both be 10.3mW. I have a DC sensing application where i use 4 PDA36A detectors at the highest gain setting. When I turn off the light source, there is a wide range of dark level--understandable for different chips. But some are negative. I don't understand why there would be negative dark signal unless an offset is built into the output...can you explain? Response from Jeremy at Thorlabs: The negative value that you see is the amplifier offset, which can be negative (for PDA36A, the offset should be within ±10mV at 70dB gain). For the recently purchased PDA36A (after July 2012), and PDA100A (after October 2012), there is a way to adjust the amplifier offset. If you remove the back cover of the PDA, there is a trimmer potentiometer which sets the offset. You can set the offset to what your desire value by covering up, and then adjusting the offset at 70dB gain setting. 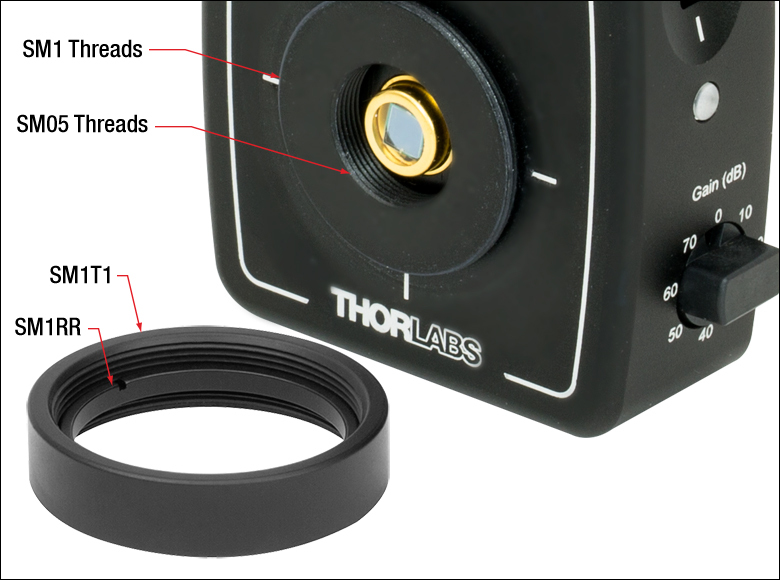 Response from Sean at Thorlabs: Thank you for your feedback. For the PDA36A(-EC), the bandwidth at the 70 dB gain setting is 5 kHz. Complete specifications at each gain setting can be found on page 9 of the manual (http://www.thorlabs.com/Thorcat/13000/PDA36A-Manual.pdf). I have already updated the webpage to refer future customers to that location. We are in the process of developing a new website feature that will allow us to provide the complete set of specifications for detectors and other products in a more convinient way, and I will make sure that this page is one of the first to utilize the new feature. Dear Sirs, We planned to purchase your product (PDF10C/M) for our lab. in Indonesia. I believed that they have already launched the project. However, we need your assistance to connect this detector to optical fiber with SMA termination and a long wave pass filter (FEL1200). Would you mind telling us, which part is needed. Personally, I have in my mind this kind of setup: (collimator)--> (Optical Fiber)--> (fiber adapter)--> (SM1 tube)--> (lens?) --> (filter)--> (detector). Is it possible? Do we really need a lens in this case? Thank you very much for your assistance. Yours Sincerely, Dr. Veinardi Suendo Customer Email: Veinardi.Suendo@polytechnique.edu This customer would like to be contacted. Response from Javier at Thorlabs to last poster: Thank you very much for your feedback. We have updated the Overview tab in order to clarify the different transimpedance specs for these detectors. Please do not hesitate to contact us at techsupport@thorlabs.com if you have any further questions or comments. Transimpedance gain for the PDF10A is mentioned in the Overview tab, but the wording seems to indicate that both this and the PDF10C share a common gain value. Click on the links to view photos of the items. Click the icons for details of the housing. Click on the links to view photos of the detector elements. The detector active area surface is flush with the front the housing. Click the icons for details. Switchable with 8 x 10 dB Steps. Bandwidth varies inversely with gain.